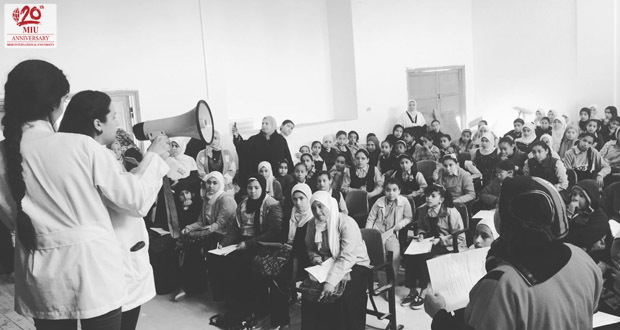 On Thursday March 2nd, 2017, the Community Service and Environmental Affairs Committee organized a field trip to Hoda Shaarawy School, Sherouk City. A group of staff members, teaching assistants, interns, fourth year students and nurses participated in this event. The purpose of the trip was to increase dental health knowledge and to improve oral health state for Primary and Preparatory students. 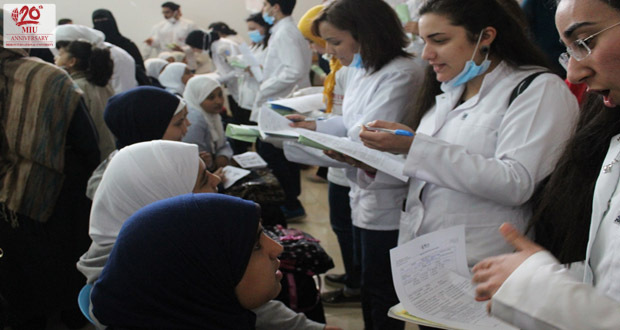 The field trip included students’ examination that was done by interns on primary stage students and preparatory students were examined by forth year students according to their Oral Medicine curriculum. Students received cards explaining their oral health state as well as what treatment they needed (if any) to be given to their parents. 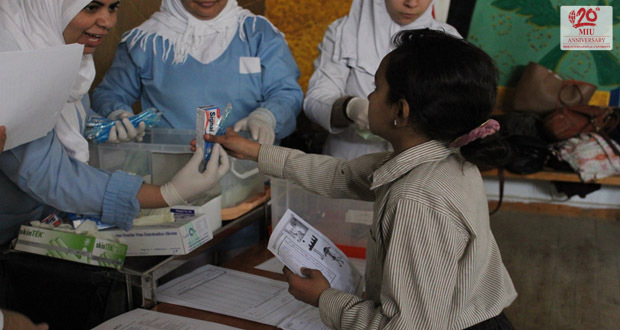 Two different questionnaires were handed, one at the beginning of the session for the school’s students, teachers, and administrative staff to determine their dental health care needs, and another at the end of the session to evaluate the provided program and measure the visit satisfaction. A questionnaire was administered to the MIU participants as well. The trip also included an awareness campaign to improve students’ oral hygiene knowledge and condition. 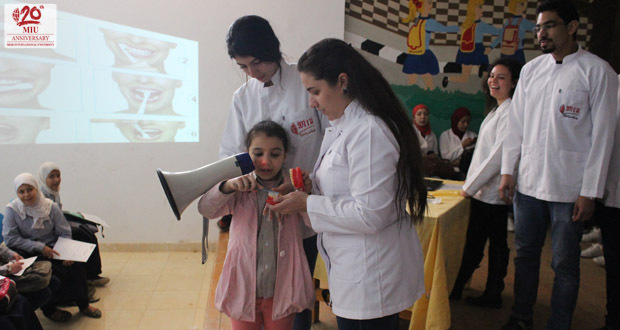 The awareness programs was in the form of presentations, posters, and brochures as well as live sessions about tooth brushing techniques which were presented by fourth year students to fulfill the curriculum of the Oral Medicine Department, under the supervision of staff members. Educational materials and packs of tooth paste and tooth brushes were distributed among all students. The school staff members and the representatives of the educational administration appreciated the organization of the trip, and they recommended more field trips to the school. 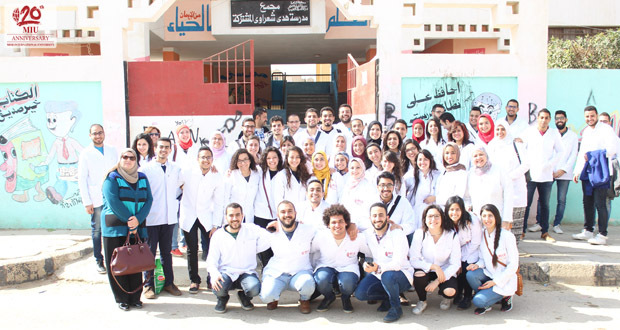 Fourth year students and interns were happy participating in community service activities.